They say that you cannot put a wise head on young shoulders. However, the creator of this idiom has never met Maggie Carlon, nor seen her play on a netball court. For while Oakleigh’s pocket rocket may be young in years, she plays with a vision and maturity generally only seen in players considerably more senior. From her position in wing defence, she has the happy knack of being able to place herself in positions into which the ball will be played. This sets her apart from many of her contemporaries, as such a skill cannot be taught. It is something that a player is born with, and honed over time as their games tally increases. This however is only part of the danger that Maggie Carlon poses to her opponents. There are few players in division one with better vision to pick out passes that need to be made, and many opportunities are derived from the space that Maggie creates, simply through the ability to notice an attacking option quicker than the players around her. Having worked her way up through the lower divisions at Heatherton, Maggie has to this point only scratched the surface of what she can achieve within the SFNL. One gets the feeling that in 2019, as her confidence and faith in her own game grows; Maggie Carlon could blossom into one of the competition’s truly elite mid-courters. In her first season at Dingley in 2018, lively attacker Monique Lenehan-Moustafa impressed with her creativity, workrate and consistency. For it takes a particular type of ability and athleticism to be as much of a force at ground level as one is in the air. Monique has this ability to be a handful for defenders of all shapes and sizes. A deadly shot is only one part of the armoury of any elite shooter. Monique possesses the accuracy that all goalers need, but one of the factors that make her such a deadly foe is the ability to get into dangerous positions within the goal circle, and also to create chances for her shooting partner from outside. To succeed in a side with the pedigree and ruthlessness that Dingley exudes, a player needs to bring a particular brand of attitude with them. It is not enough to compete. To be a Dingley division one player, one needs to crave success and have the will to drive towards that prize to the exclusion of all pressures both on and off the court. Don’t let her sunny nature fool you, for Monique Lenehan Moustafa is a smiling assassin for whom winning games of netball is the only goal. Finishing fourth in 2018 will not have gone down well, and having spent the past season establishing her position within the Dingo squad, expect Monique to shine even brighter in the quest for redemption in 2019. There has been many a shooter in the SFNL over the last two years, that has looked at their calendar in trepidation of the day that they have to face Caulfield. For it is the Bears that pose one of the toughest assignments in division one, in the form of goal keeper Phoebe Naughton. In 2017 Phoebe formed a feared partnership with athletic goal defence Alice Pohlner. With Alice leaving Melbourne before the start of the 2018, the look of Caulfield’s defensive circle changed. The efficiency of the defence was not weakened, however, as they embarked on their most successful season in division one yet. Caulfield were prominent at the top end of the table right throughout the 2018 season, and Phoebe Naughton stepped forward as not only a key defender but also as a team leader in a side that was frequently under strength. A big strength of her game is her mental strength which allows her to be as tough an opponent in the sixtieth minute as she is in the first. Having taken two huge scalps in the 2018 finals series and advanced to a maiden division one grand final, Caulfield will be keen to take the next step this year. To do this will require their senior players to guide their group of talented youngsters and help them achieve their best. Look to Phoebe Naughton to again be a vital cog in the Caulfield machine. Dingley have a proud history of recruiting the right players to positions where they are most needed. In 2019 the three-time premiers have pulled off a major coup by recruiting the 2016 VNL most valuable under 19 player, Ella Quinlan. Her 568 goals as a sixteen year old for Southern Saints only illustrates her potential to be one of division one’s very best shooters. Dingley have long traded on their ability to effectively finish the work of their tireless mid-courters. They felt that their strategy for 2019 required an injection of talent into their shooting division, and have managed to acquire a player of the size, agility and potency that they feel could help give them their first crown in four years. Like many young players, Ella’s effectiveness can rely on her confidence. She will have days where she is marked out of the game by tough defenders that don’t give her space. She does, however, possess all the tools needed to fully capitalise when her faith in herself is flowing. And an Ella Quinlan in full flight is a true match winner. In a competition where the depth of defenders is greater than that in attack, any side with match winning quality in the circle will be a major threat. They’re a proud club, Dingley, and their fourth place finish last season will not have gone down well with those in charge. In attracting Ella Quinlan to the Den, they have made a major statement that they don’t expect the fall to continue. There are few in the SFNL that cover more ground over the course of a game of netball than Nikki Tulley. The young running machine will move from the back right corner of the court to the front left and back again, all in the name of creating opportunities for her shooters to post a winning score. Over the off-season, Nikki has made the decision to cross from Dingley to local rivals Mordialloc. Breaking into a mid-court that took all before it in 2018 and wound up lifting the premiership cup will be no easy task, but she has the talent, ability and drive to add to the potency of the red and whites. For there is much more to Nikki Tulley’s game than just fitness and movement. She has the innate ability to read a game that allows her to be where the ball is going. Nikki is also a very sure user of the ball, ensuring a plentiful and accurate supply to those in the circle or mid-court, whether playing from wing attack or centre. Mordialloc make no bones about the fact that they are looking to build a dynasty, and are there to take back-to-back titles. The recruitment of Nikki Tulley only adds to their mid-court depth and will allow the likes of Sophie Durnan additional space to create, as well as the damage that Nikki can cause herself, which will ensure that Mordialloc should again go deep into August this year. Often when clubs lose multiple premiership players and need to rebuild, it means a spell in the lower reaches of the competition. That, however, is not the way that they do things at Heatherton. Steps have already been taken to create the next Heatherton premiership squad, and a key member of this squad will be Kate Kelly-Oman. Kate may be young in years, but has experience that belies her youth. She has VNL experience with both the Southern Saints and the Peninsula Waves, and is a veteran of many a state squad in the youth ranks, culminating in her selection as All-Australian at youth level. Not only is Kate a determined, hard working and fiercely competitive mid-courter equally adept at wing attack and centre, but she also stands out as a natural leader which, in a side that will need to develop cohesion quickly, is a highly sought-after quality. Kate is someone that the Tunners will look towards to provide the attacking flair to make them a force in 2019. 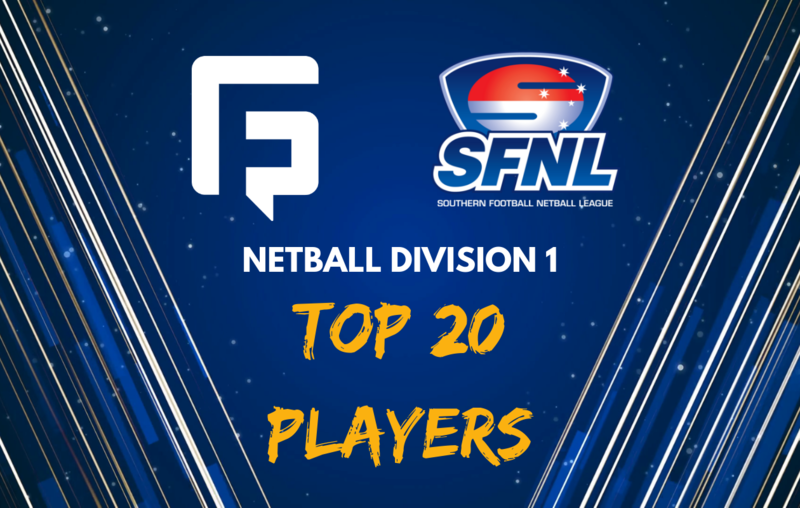 Kate Kelly-Oman is a player unknown to many SFNL watchers as preparations for 2019 ramp up. It does not, however, take a genius to work out that this will not be the case at season’s end. Heatherton loom as one of the more interesting sides to watch this year, and in Kate they have a player of the pedigree and craft needed to keep them at the apex of division one. St Pauls gained a lot of respect through the 2018 season; a year in which little was expected of them but they played with flair and tenacity to register six wins and finish a creditable fifth. Having joined the Saints after representing the Eastern Football & Netball League at under 19 level the previous year, Zoe Lythgo played a big part in their resurgence. Zoe was used mainly in goals in 2018, providing an agile and able foil for established goaler Grace Healey. Immediately she impressed as a player who had a deadly accurate shot from any point within the circle, as well as one with the movement and presence to trouble many a goal defence. One of Zoe’s big strengths is the ability to appear taller than her stature actually suggests. Being able to think quickly and make position before her opponent is able to react; Zoe Lythgo is an effective target in the air. This takes a lot of pressure off her taller goal partner Healey and maximises Saints’ ability to convert the opportunities provided by those further afield. Cheltenham came from the clouds last year to win their maiden division two premiership, and now head into division one for 2019. That they did was down to many factors, with all members of the squad doing their job, but no factor was greater than the shooting acumen of their spearhead, Alex Siedle. Alex was the leading scorer in division two in 2018. Not as tall as some shooters, her game is based on the ability to make brilliant position, and her speed of movement which keeps her one step ahead of her opponents. Week in, week out she shows the intelligence which makes her a dangerous property irrespective of the opposition. Once you have the ball in your hands however, you have only done half the job. Here is where Alex Siedle really excels. Her shooting percentage is the envy of many a shooter and ensures that the opportunities presented are capitalised upon. On top of that, Alex showed in the 2018 finals series that she will not go missing when the big games roll around. For Cheltenham to make an impact in a competition where there are no easy games, they will need all their best players in form from round one. One thing that they can be sure of is that the work of those up the court will be finished well. For all good sides need a spearhead to threaten the opposition defence, and in Alex Siedle Cheltenham have one of the best. Having spent much of the off-season preparing for, and achieving, wedded bliss, Domica Wescombe enters the 2019 season looking to build on a stellar first season in Caulfield colours. Diminutive of stature but huge of heart, Domica threw herself into her work from the start of 2018, and was a vital cog in Caulfield’s grand final side. The first thing that you notice about Domica Wescombe is the fact that she never seems to stop running. Her elite fitness levels allow her to keep moving strongly when others are starting to slow up, and ensure that no loose ball is ever a lost cause. Some of her most dangerous work is done in attack, moving quickly and fluidly around the perimeter of the goal circle to feed her shooters a plethora of ball in prime striking areas. Domica is a very versatile player who can be used in any area of the midcourt with equal aplomb. Should the need arise, Domica can also be used as a stopgap shooter, as occurred at various stages in the middle of 2018 when Caulfield’s reserves of depth were stretched to the limit. With the absence of Makayla Bulte and Tiffany O’Connell likely for some, if not all, of 2019, Domica Wescombe’s energy and leadership will be needed more than ever if Caulfield are to retain their standing at the SFNL’s top table. The ability is there, as is the application. Look out for a huge 2019 from this little lady. At times over the last two seasons Sienna Kelly has threatened to join the absolute elite of players in the SFNL. This prodigiously talented junior player continues to develop as she gains age and wisdom, and 2019 gives her the opportunity to become a senior member of the Heatherton midcourt. In a young, developing team Sienna is a Rolls Royce; a smooth mover who seems to cover the ground with style and grace as though gliding over the asphalt. Though young in years she now has the experience to demand the ball, and control the style of play with creativity and intelligence. One of Sienna’s most impressive features, unusual in a creative player that doesn’t mind taking a risk or two in her attempts to drive her side forward, is her consistency. It is rare to see Sienna Kelly play a poor game, and it usually takes the cream of the league’s defensive mid-courters to quell her dominance. Heatherton are one of the SFNL’s great unknowns in 2019. With Sienna’s cousin, Kate Kelly-Oman coming to Heatherton in 2019, their combination and knowledge of each other’s game could be vital to their hopes of creating an impact on the upper echelons of the ladder. Look to Sienna Kelly to figure prominently in the awards counts at season’s end. As a key defender in a side that has won promotion from division two, Anna Donnelly may be excused for thinking that she might have some work to do in 2019. But this will not faze her. This unflappable character plies her trade with a decisiveness and certainty that will give the Rosella faithful plenty of confidence for the year ahead. The key plank of Anna Donnelly’s game is her agility. This allowed her to combine with fellow defender Lauren Hucker to form the most frugal defence in division two. Anna showed a capability to play on both the taller and smaller shooters in the division, and will be crucial to Cheltenham’s chances in 2019, either on the hunt or staying back. Anna Donnelly is a prolific interceptor of the ball. She has the inherent ability to read the play and to be aware quicker than most where the ball is going to go. This is augmented by the ability to win the ball on the rebound, and set up play going the other way through intelligent passing and excellent organisation. Cheltenham will need players to make an impact in 2019, that will be able to take the step up to the top division with calmness and surety. Anna Donnelly looks better equipped than most to take that next step, and to be able to impose her will on the competition. In a top division that looks tighter than in past years, this will be vital to Cheltenham’s survival. St Pauls as a club have not traditionally had as high a profile in the top division as some of the established big guns. But when players in the top division talk of the toughest players to oppose, Claire Stratton is often prominent in the discussion. For when it comes to chasing down loose balls as though her life depends on it, or not giving an opponent a single inch more space than is absolute necessary, there are few better than Claire. Best used as an attacking mid-courter, although able to shoot at a pinch, Claire is noticed at first for the trademark long black socks. She is, however, soon seen as someone who runs hard but runs smartly. She is therefore often able to get to the right part of the court quicker than expected, thus winning the ball or forcing the turnover. Once the ball is won, it is usually used smartly and efficiently. St Pauls has a very accurate and mobile shooting division, but of course this is little use if the ball doesn’t penetrate the edge of the goal circle. Claire Stratton has the priceless ability to dictate the movement of her shooters with the depth and range of her passing. St Pauls will need to post good scores to be able to impact division one, and for that they will need to use the ball well in the middle of the court, and to keep the ball forward of centre for longer than their opponents. In Claire Stratton they have a player that could prove instrumental in achieving this. Any champion team needs a great leader to show the rest of the troops the way home. In player-coach Sophie Durnan, Mordialloc have one of the very best at their disposal. There is, however, much more to Sophie’s game than the organisation and tactical acumen that comes with the leadership aspect of the job. From her position in the middle of the court, Sophie can dictate the direction of the game and drive Mordialloc forward. She has a vast body of experience to work from as she schemes and plots the demise of the opposition, finding space where no space seemed to exist and slicing passes through the defence of the foe like a knife through butter. Mordialloc assembled an impressive array of star netballers in taking the division one premiership in 2018, including Sophie herself. That she was able to mould what was essentially a new bunch of players into such a cohesive unit from the very outset pays testament to her character and determination, factors which are amply evident in Sophie’s own game. Mordialloc enter 2019 as the hunted rather than the hunter. They will have had the rest of the competition studying how they go about their business, and planning their own methods of bridging the gap between themselves and the champions. They will need to reinvent themselves to a degree to retain their throne- 2019 will show whether Sophie and her cohorts are up to the task. One of many in the 2019 Heatherton squad that is largely unknown to division one watchers is Neo Taufa. As part of the division two squad that recovered from a near-disastrous opening six weeks of the campaign to reach the grand final, Neo grew in confidence as she went along to finish amongst the competition’s elite defenders. Boasting an impressive combination of intelligent skilfulness and hard, tough courage, Neo Taufa became a vital plank in a defence that was the dominant factor in Heatherton’s rise up the ladder. Even the competition’s best shooters were made to have a difficult afternoon against an opponent that would not even allow her grandmother an easy shot. As all the best players do, Neomai Taufa has more than one string to her bow. Possessed of the creativity that allows herself to be used at wing defence where needed, Neo’s opponents must also watch her going the other way as she is capable of establishing the next wave of Heatherton attack once the ball has been won. For this new, rebuilt Heatherton side to make an impact in 2019, they will need all their best players firing on all cylinders. Neomai Taufa will form part of the foundations of this young side at the back end of the court. Whilst few will know of her now, I see that changing very quickly. She has the ability – I’m backing her to have the mental fortitude to take the next leap forwards. Head coaches Teena Mifsud and Heidi Samason have an impressive track record in attracting real talent to the clubs that they coach. In 2019 they have pulled off another coup in getting Gabby Dwyer into the black and white. For in this Peninsula Waves representative they have a player with immense talent, but also the youth to keep improving as time marches on. Having represented Victoria at under 19 level in 2018, this 186cm goal shooter commands her space in the goal circle with the authority of a player that knows their capabilities well – put the ball in her area and she’ll back herself to turn it into a successful shot. Gabby also has the agility to play on all styles of defender. Like all the best players are, Gabby Dwyer is hungry. Unwilling to settle for being the player that she is now, she is always striving to go one step further and be that little bit better. The added lure of potentially being part of the first Oakleigh District division one premiership squad means that all SFNL defenders will look anxiously at their calendars at when they will face the Oaks. If you like defenders for whom toughness is as big a factor as skill, for whom determination starts in the warm-up and finishes in the cool-down, then Chloe Sinclair is your girl. For there are fewer players in the SFNL with Chloe’s steel. Many don’t appreciate defeat – Chloe Sinclair detests it. That’s not to say that Chloe Sinclair lacks ability of her own, for nothing can be further from the truth. One does not thrive in the Dingley division one side without being a skilful ball player as defence is converted to attack. Chloe will intercept and rebound with the best of them, and also has the inherent feel to know where the first pass must be played to send the Dingoes careering up the court. Chloe Sinclair could be described as a coach’s dream. Whether playing for Dingley or representing the Hawks at VNL level, Chloe can be set a task and be relied upon to perform it with a great degree of ability, aplomb and excellence. And should any attacker try to mix it with her in the field of intimidation, they are wasting their time – their efforts will be returned with interest. Leadership comes in many forms. Some lead by deed, others by word and others through sheer efficiency. It is in the latter category that Chloe Sinclair excels, but make no mistake; this lady is a leader amongst a squad of strong personalities. And Dingley walk a good deal taller when Chloe Sinclair stands within the defensive goal circle. Grace by name, grace by nature, this young lady has been one of the top division’s pre-eminent attacking players for some years now. 2018 proved that Grace Healey was possessed of a fair amount of steel to compliment the smooth movement of which we have known, as a back injury diminished, but not defeated, her sparkle. Once the ball is safely in her keeping is when Grace Healey’s venomous streak will appear, as she racks up the goals with the ruthlessness of the viper. Once the ball is lured into her grasp, it is sent skywards to float towards the ring and inevitably drop within; missing is not an option for this skilled operator. St Pauls will be looking to build on a 2018 season where they showed somewhat greater threat than that which was expected from them. For them to do so, a full season from their greatest threat will be a key asset. Whether this is possible remains to be seen, but if so then expect her to be near the top of the goal tallies come season’s end. The star-studded outfit that the District is putting together is the pick of many to go deep into finals in 2019, if not to win the whole title. But equally important as brilliance, is the presence of a healthy dose of starch to give the side resilience when times get tough. In Zali Mifsud the Oaks have a mixture of both elements in a potent package. It is when times are toughest, and the stakes at their highest, where Zali Mifsud tends to be at her best, the hallmark that separates the very good from the truly great. There is no such thing as a lost cause with Zali – she will run until ready to drop and will not rest until the final siren sounds, irrespective of what the scoreboard may say. One of the most impressive parts of Zali’s game is the range of her passing. She is Oakleigh’s assassin, driving the ball forward with the speed and precision of an SAS sniper, often forming a lethal combination with sister Bayley or the impressive array of goal shooters that she has at her disposal to work with. Having won grand finals, player of the year awards, and best-on-court medals on grand final day, Zali Mifsud has grown accustomed to success. It is the truly successful among us that keep winning these accolades and ever hunger for more. But this is what Zali is – it’s what drives her – and it’s what Oakleigh will need if they are to take SFNL netball’s greatest prize at the first attempt. In the immensely talented group that makes up the Caulfield squad, there is one obvious leader. It is the tallest of all the Bears that leads by deed, word and example. Sophie O’Shea is more than that however. As a shooter she is the one that opposition defenders dread playing against, and leads the way throughout the SFNL for sheer reliability. Sophie is never completely out of the game. When the ball is not in her area of the court, she can be seen and heard exhorting her colleagues to put in that one more effort; barking instructions as a sergeant major would in the heat of battle but yet with a calm, reassuring tone that lets her troops know that she’s very much one of them. Sophie does not prance around the goal circle with a speed of foot, as she would be the first to admit. But for speed of thought, there is no equal in this competition. It is this that allows her to make the best possible position, a sure shot that ensures that position is not wasted, and a speed of hand and understanding with her mid-courters that improves her chances when she senses that her percentages are low. Caulfield have been coming to get the tall poppies for three seasons now, steadily building year upon year. They won two tough finals to play off in 2018’s decider and, having got there, their loss stung them hard. They feel that they can go the distance this year, and few would begrudge Sophie O’Shea the opportunity to lift the cup. Few players of any sport get to have seasons like Caity de Garis enjoyed in 2018. To be named as league best and fairest, and player of the match on grand final day is a fine result for any player, but what all players want is to hold that premiership cup. On a cool, overcast August Sunday afternoon, that mission was also accomplished. The fact that this was Caity’s first season in our league just added to the achievement. This skilled defender hardly played a poor game between being best on court in a sodden, shortened round one to doing the same on the last day of the season. Allied to the quality of her netball, she performed with an unflappable nature and a pleasant disposition that earned her respect from player and watcher alike. There are few weaknesses to Caity’s game. She is almost unbeatable in the air should the opposition decide to play long and direct. If the foe decides on a slow, patient, short passing build up, she has the intelligence to position herself so that she can either make the intercept or force a shot from the most difficult range and angle possible. Caity is also a fine rebounder, and a calm and composed user of the ball once it is safely nestled in her sure hands. Having been, with trusty partner in crime Amy Gledhill, the rock on which their premiership was built, Caity will look to do it all again as Mordialloc aim for back-to-back titles. They say the second season is often toughest as opposition brains trusts have twelve months to work you out. I don’t see this being a problem with someone of the talent and temperament of Caity de Garis. Time will tell whether she and her cohorts can repeat the glory of 2018 and taste the champagne once more in 2019.